Hi Everyone! I am Jennifer from Peanut Butter and Peppers, I am filling in today while my friend Christi is recovering. 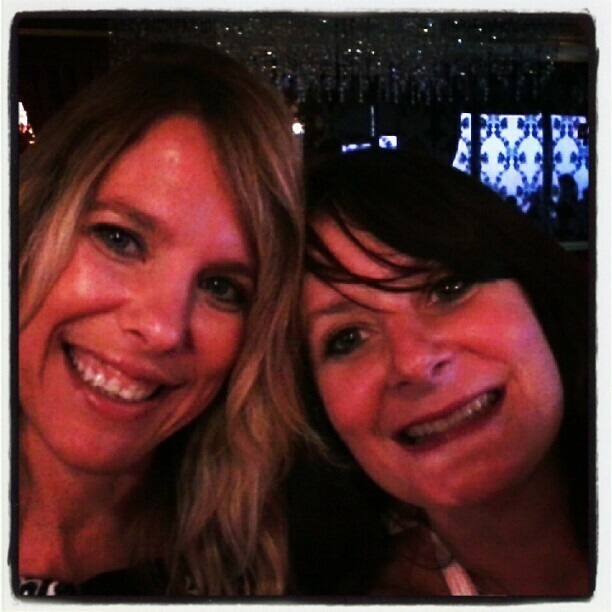 I had the honor of meeting Christi last year at the FoodBuzz event and ever since then we have become friends. We had so much fun causing trouble all over the streets of San Francisco! I love Christi! She is one fun and courageous woman!! You get better soon, I know you will beat this, I have no worries about that!!! Here is a picture I happen to have handy of Christi and I. So for today's recipe, I thought I would share a fun smoothie for Christi that would perk up her spirits. 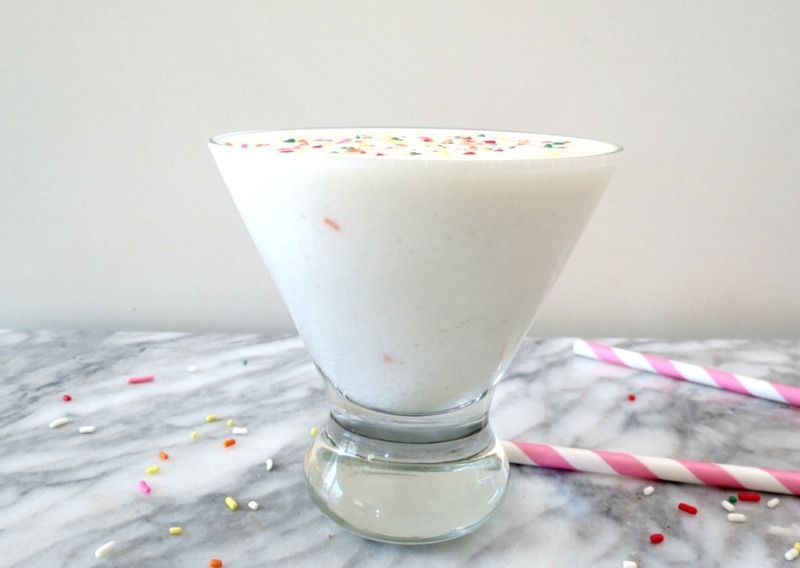 This is my Birthday Cake Smoothie! 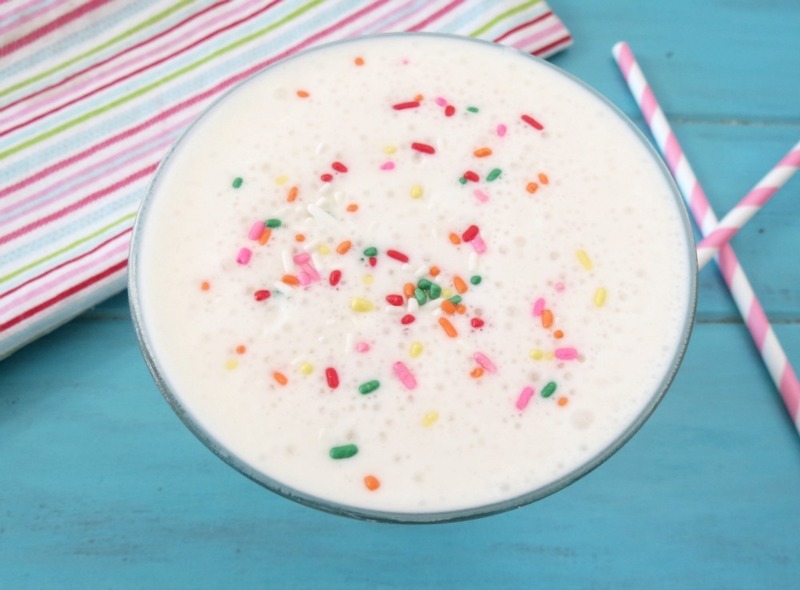 This smoothie is healthy, low calories and gluten free! It's quite amazing! 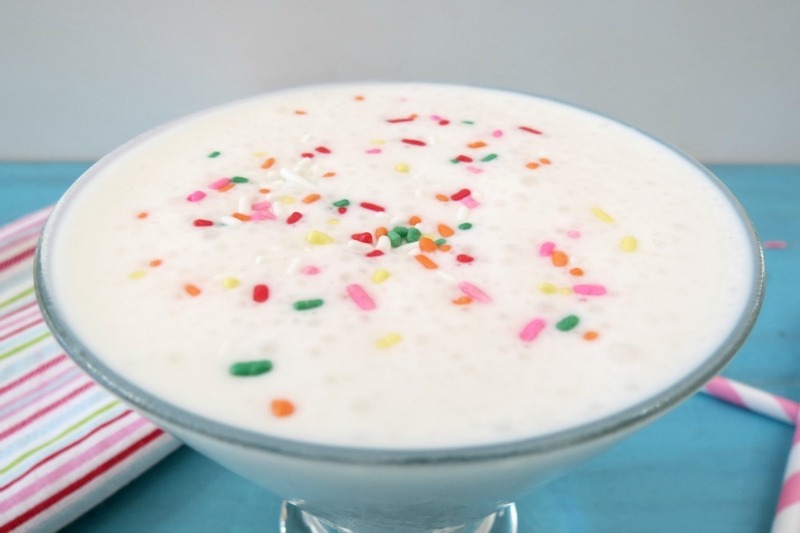 If you never thought about drinking cake batter, this recipe will change your mind!! 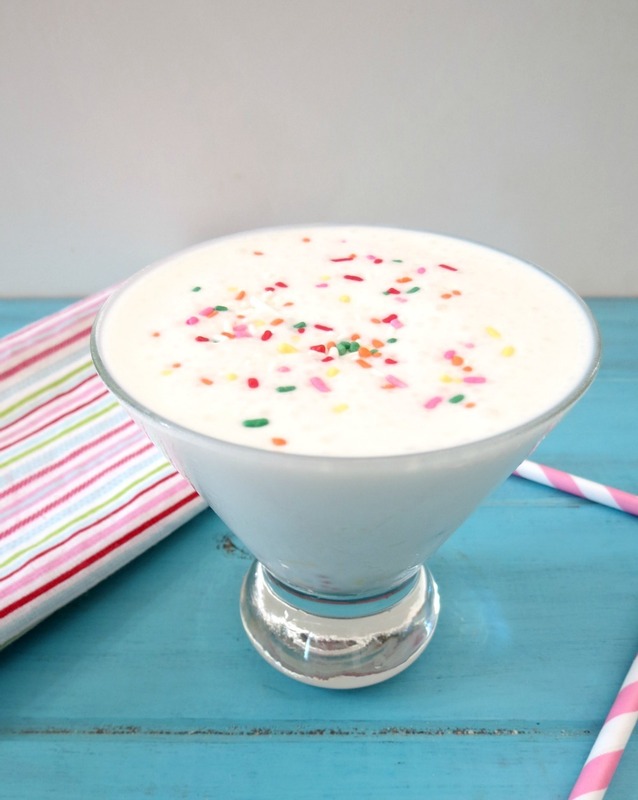 It's made with greek yogurt, non-fat milk, vanilla extract, stevia and butter extract. In case you have never heard of butter extract, the brand McCormick carries it, but I found it hard to find, unless you have a big grocery store. So I did some googling and found that the company J.R. Watkins carries it. It's a fantastic extract that gives the taste of butter without actually using butter, plus no fat or extra calories! You have to love that!! I'm all about saving calories!! Place all ingredients in a blender and process until combined and smooth. Note: Start off with 1/2 teaspoon of the butter extract and work your way up from there. Depending on the yogurt you use, the extract can be very strong. Also, if you use vanilla yogurt, do not use the vanilla extract. I hope you enjoy today's recipe. In case you don't know, I am such a smoothie freak! I make them all of the time and they are so much fun to create all different kind of drinks! Have a wonderful day! Christi, get better soon, we need you back posting all your wonderful recipes!